Newborn Size 1. 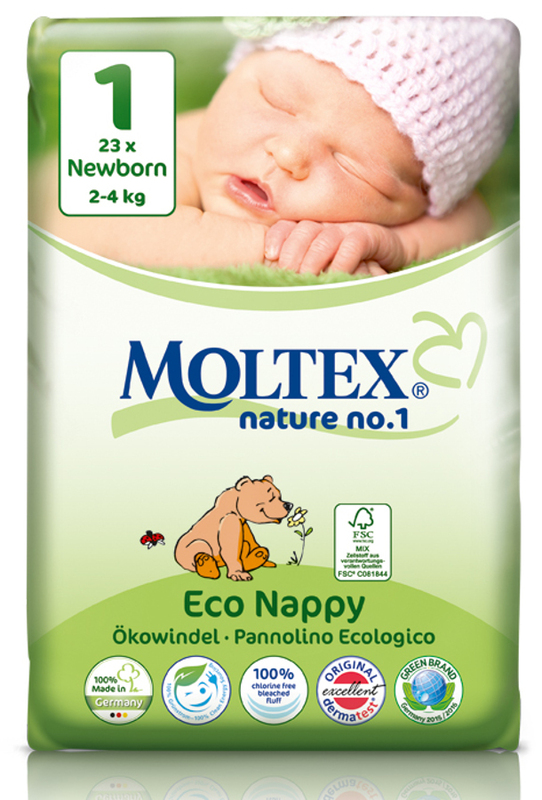 Suitable for babies 2-4kg - 23 per pack Renowned for their environmental benefits and their skin friendly composition Moltex Nature No.1 Disposable Nappies are the increasingly popular choice of disposable nappy for busy parents seeking an alternative to conventional disposables. Much better for the environment than conventional disposables and kinder to babies' skin, Moltex Nature No.1 Nappies and are free from chlorine, latex, perfumes or lotions and are therefore perfect for baby’s sensitive skin. Recommended for babies with eczema and other skin problems. Made with 40% renewable raw materials, 100% chlorine-free absorbent core, FSC certified cellulose derived from wood.1. Dry to the touch: The 3-layer absorber ensures rapid liquid absorption. Added tealeaf extracts neutralize odours effectively without the need for perfumes or lotions.2.Elastic waistbands, available in six sizes from newborn to XL so a perfect fit is ensured for your baby.3.And the completely breathable clothing protection film provides for excellent nappy ventilation and new-born nappies feature a hole, which protects your baby's sensitive navel. Moltex has also been awarded the Green Brand award for 2015/2016, which is a seal of quality for environmentally sustainable products. 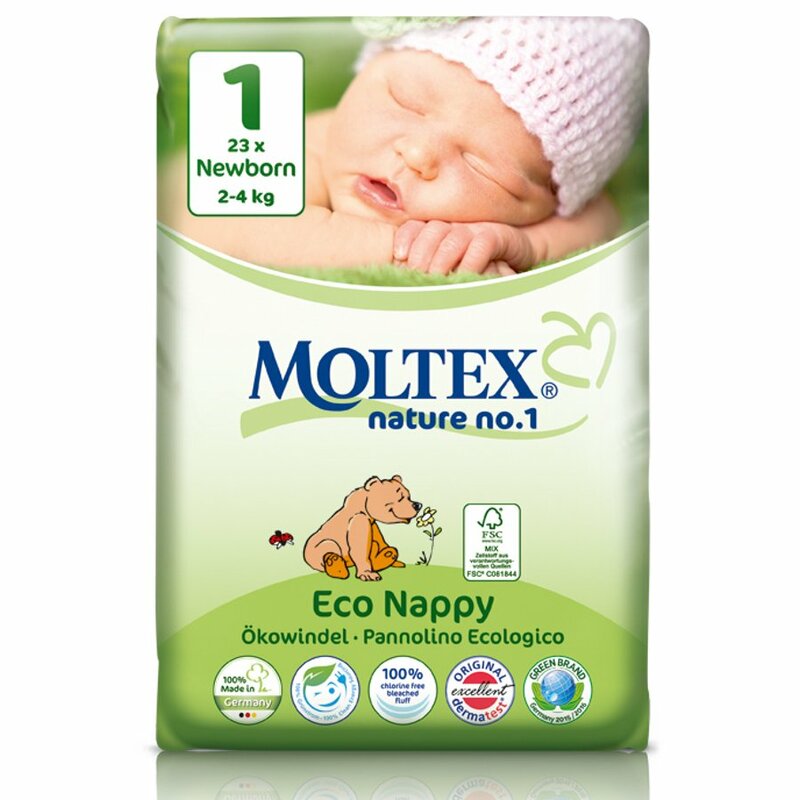 There are currently no questions to display about Moltex Nature Disposable Nappies - Newborn - Size 1 - Pack of 23.